The rise of big business in the 1870s created an oligarchy of wealthy businessmen. Politicians and business leaders conspired to create policies that favored their friends rather than the public. Wisconsin's legislature was controlled by a few powerful Republican leaders until the 1890s. But Progressive Republicans believed that the government's job was to serve the people. They wanted to restrict the power of corporations when it interfered with the needs of citizens. The Progressive Movement appealed to citizens who wanted honest government and moderate economic reforms. 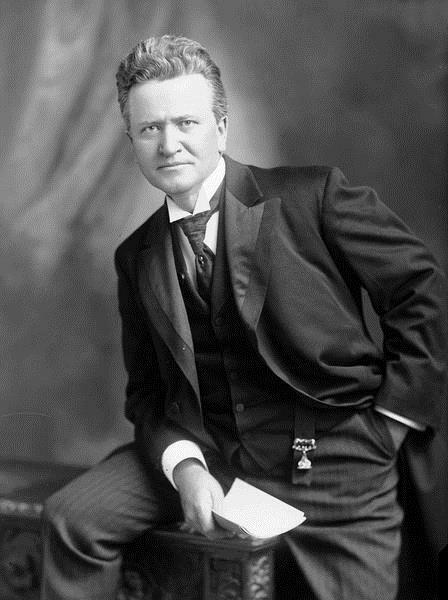 Robert La Follette was governor from 1901 to 1906, and U.S. 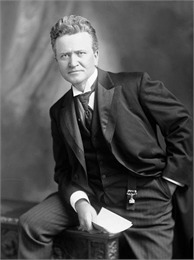 Senator from 1906 to 1925. In that time, he developed a strong party platform for Wisconsin's Progressive Republicans and legislated important Progressive policies. La Follete had an idea for a Progressive experiment called the Wisconsin Idea. It was the belief that efficient government should be controlled by voters rather than businesses and lobbyists, and that help from specialists in law, economics and the social and natural sciences would produce the most effective government possible. The University of Wisconsin played an important role in Progressive reform efforts and the Wisconsin idea. UW faculty helped legislators draft laws and served as experts for the government. The state founded the Legislative Reference Library to research legal history and educate law makers. The Legislative Reference Library — or "LRB" — was created in 1901. The LRB provided legislators with fast service from trained researchers. It added a bill drafting service in 1907 that was so successful it was adopted around the world. 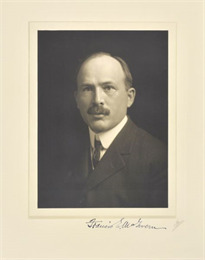 One of the most important pieces of progressive legislation was passed in the 1911 session under Governor Francis McGovern. It created the nation's most effective workers' compensation program to protect people who were injured on the job. Many progressive laws were enacted while James Davidson was governor. Davidson's cabinet passed laws to give state control to corporate stock issues, extend power to a railroad commission to regulate transportation, fix railroad fares, regulate insurance, limit working hours for women and children and create forest and waterpower conservation acts. Progressivism became popular throughout the U.S. in the 1930s. Progressive Wisconsin professor of economics John R. Commons trained Edwin Witte, who authored the 1935 Social Security act. Wisconsin Progressives drafted much of Franklin Roosevelt's New Deal. La Follette and Wisconsin's Progressives inspired John F. Kennedy's "New Frontier" and Lyndon Johnson's "Great Society" programs.